A source close to the project has suggested that contract negotiations are not progressing as expected. It seems that US network Showtime may have jumped the gun by triumphantly announcing the new series in October before the ink has dried on cast members' contracts, and there are rumours that the budget is being tested by high demands. It will surprise no one that it's proving tricky to resurrect a TV show after 25 years. When making the feature film Twin Peaks: Fire Walk With Me just a year after the second season wrapped, Lynch and co-writer Robert Engels had to deal with regular cast members ruling themselves out in order to embark on new projects. The series' lead actor Kyle MacLachlan was so keen to escape stereotyping he only agreed to appear in a cameo role as a favour to Lynch, requiring a lengthy rewrite as he'd been central to the original script. Fortunately, Lynch is used to turning problems into solutions. The series' iconic villain, Killer Bob, was created by mistake during the pilot episode when set dresser Frank Silva was accidentally captured on film. And the highly effective 'Black Lodge' scenes in the final episode were largely improvised after Lynch discarded the original script on the day of filming. 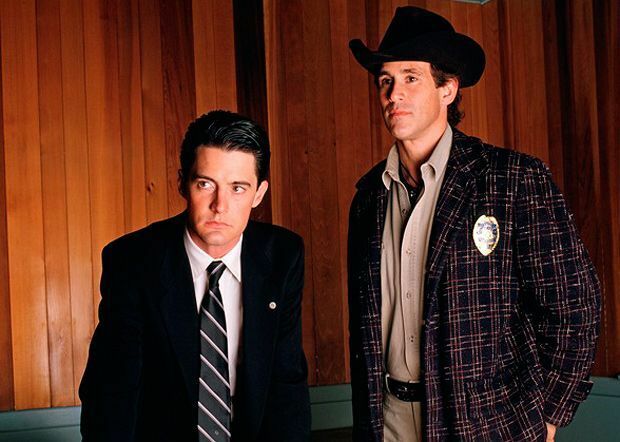 Twin Peaks is due for release as a nine episode limited series in 2016, co-written by Mark Frost and David Lynch, and directed by Lynch.